Grass Valley’s IBC stand was a buzz of activity in Amsterdam and the company offered up plenty of new offerings designed to help customers make the move to IP, UHD, and HDR, and just about any other desired format. It also put an emphasis on innovation in some of the details that can make the difference in building loyalty. Greg Huttie, Grass Valley’s VP, switcher product line, says that one of the key additions to the K-Frame series is a new chassis with plenum cooling to ensure that the new boards remain cool. The new GV K-Frame X adds two rack units of height but will do the trick in tight spaces as it obviates the need for side cooling. 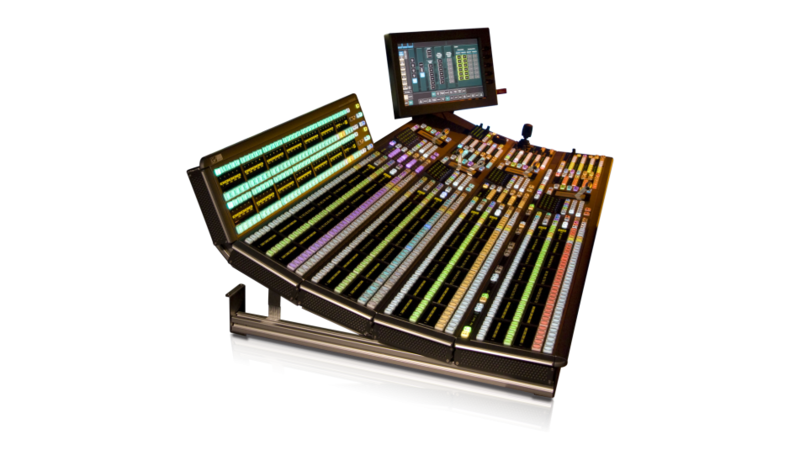 The Kayenne K-Frame X switcher offers more flexibility and a roadmap to the future. The IO board set have also been enhanced with IP, SDI, and even 12 Gbps connections. And the IP boards have allowed for the primary and redundant connections to be layered into a single board, another space saving move. Just as the current K-Frame offerings, the new switcher is adept producing in HDR for an environment looking to cover all its production bases. Huttie says that the “X” will provide a key development platform for future development in support of evolving IP and UHD workflows. The production switcher lineup wasn’t the only one that is taking advantage of things like upgradability at the show. The camera lineup, thanks to a new free firmware update, can improve picture and signal quality without having to change any hardware. Klaus Weber, Grass Valley, senior product marketing manager, cameras, says the design team is taking advantage of FPGAs in the camera that can allow for new features and function to be added without changing boards or hardware. When users turn on their camera they get a notification of an upgrade and they can decide themselves whether they want to enable the enhancement. All five LDX C86N models feature three native UHD in-house developed 2/3-inch imagers and utilize DPM Ultra, an enhancement to Grass Valley’s Dynamic Pixel Management) to manage the acquisition format and capture high-quality native HD/3G/4K images from anywhere, both in SDR as well as HDR. When it’s time to combine the footage into a cohesive program, the LDX C86N Compact Series is fully compatible with the LDX 82, LDX 86 and LDX 86N Series cameras to match perfectly in color reproduction and wide-gamut acquisition. Also support HDR is the K2 Dyno S replay servers as it now supports SD, 10-bit HD, 3G, SSM and 4K UHD formats in significantly less rack space and using significantly less power than competing systems, according to Grass Valley. In addition to flexible format options, K2 Dyno S offers workflow tools that simplify user tasks including Dyno A.R.T (automated rules based transfer), which builds file-based workflows users can set and forget, allowing them to easily build editorial, social media and archive components. K2 Dyno S also offers configurable storage, Apple ProRes support and Shareflex to provide fast content transfers between replay system pods. In fact, every new camera that’s part of the LDX platform comes ready to support to HDR. And up- and down-mapping available via the new UHD-3901 ensures SDR signals are easily integrated into an HDR workflow.